After relaxing for almost two weeks after my travel to west Japan and Kyushu, I hit the road again, this time for the opposite direction: north Japan and Hokkaido. Traveling to and in Hokkaido is really difficult and time intensive, so that I decided to briefly write about how to get there, which options you have and how much time it takes. Basically your options are: Hitchhiking, Fairy, Seishun 18 Kippu, Fast Trains, Air Plane and Car Rental. The cheapest option from the above (except hitchhiking) is the Seishun 18 Kippu, but it also takes the longest time. The Seishun 18 Kippu is a special train ticket, that lets you ride all JR local and rapid (快速) trains on five arbitrary days (they need not to be consecutive) for 11.500 Yen. It is available to all ages, but only during summer and spring holiday seasons. You can not board special rapid trains (tokkyu, 特急) and Shinkansen (新幹線), which means traveling takes a lot of time and endless train switching. To speak plainly: from Tokyo to Sapporo with this ticket it takes 3-4 days! If you take the Iwate line from Morioka (盛岡) to 八戸 (Hachinohe) you can definitely make it in 3 days, but this intermediate line can not be boarded with the kippu and you need to pay another 2200 Yen for boarding it. From 本州 Honshu, Japan's main island, to Hokkaido, there is only a train tunnel as the sole connection, except ships. From 青森 Aomori to 函館 Hakodate, there is a special rapid train connecting main land and Hokkaido. Since there is no local train JR makes an exception for Seishun 18 Kippu users to allow boarding of this train. The name of the train is Tokkyuu Shiratori Number 15 特急白鳥15号 (special rapid white swan number 15). However you can not go the whole way but need to board at 蟹田 Kanita (the north most stop on Honshu from the train, north of Aomori) and need to get out at 木古内 Kikonai (the southmost stop on Hokkaido, south of Hakodate) and change to local trains. The cheapest option is without doubt Hitchhiking, and if you are only a bit lucky, it is way faster than the Seishun trains. Especially once you reach Hokkaido, there are many places not reachable by trains and all the trains are exceptionally slow. So I do not recommend taking trains in Hokkaido, but to use the roads. I will write another entry about budget traveling talking about hitchhiking in detail, but here are some techniques you should keep in mind. - good positions are: big express and highway stops, express way entrance roads, traffic lights on highways. always look the people into the eyes and smile, so that they can plainly see you and loose their fear. There are two ferries I can recommend to you. The first goes from Aomori 青森 to 函館 Hakodate takes 4 hours and 1.500 Yen (there is also a 2 hour ferry for 4.000 Yen that is surely not worth the extra Yen). The second goes from Hachinohe 八戸 to Tomakomai 苫小牧, a city just south of Sapporo. It costs 3.000 Yen and goes overnight and includes sleeping accommodations. Therefore it surely is a good way to get there, since you also have a bed for the night. Both ferries go in both direction, but depending on the season are quickly booked out. So be sure to plan ahead one or two days and call them to keep a place for you. As I said before, the best way to move in Hokkaido is by car. This means you can hitchhike around, or if you have enough money and a driver's licence also rent a car. The roads are in excellent conditions and endlessly go through wonderful nature and scenery so it is really a pleasure to go anywhere in Hokkaido. Which is why also many biker find their way around here. The problem is however that the cost for shipping a car over the ocean is huge: 20.000 to 40.000 Yen, so that it would be utter madness to take a car to the island. 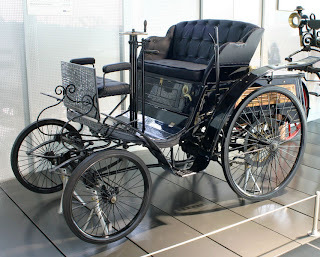 Rather rent a car in Hakodate, Tomakomai or Sapporo and cross the sea by ferry or train. The gas prices in Hokkaido seem comparatively lower than on the main land, you can save as much as 10-20 Yen per liter if you look for cheap gas stations. 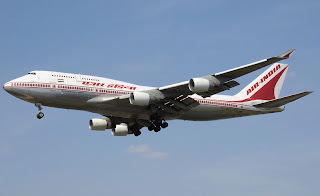 The fastest way and still cheaper than fast trains and car rental is the plane. It costs not more than 15.000 - 20.000 Yen for a return ticket, depending on the season, and takes you to and from Sapporo quickly. So if you don't have a JR Rail pass and don't want to spend 6-7 days within trains, then this is your best option. This option is incredibly expensive and way slower than the air plane. The only case this option makes sense is, if you are holding a JR Rail pass. Without the fee for a train from Tokyo to Sapporo is 35.000 Yen one ways, and even more for a bed inside the train. The train takes one day, because there are no Shinkansen yet going as far a Hokkaido (although a Shinkansen is currently planned for Sapporo). So it would be utter madness to use this option, except you can use it with the JR Rail pass. However even the Rail pass does not include the fee for a bed, so you have to sleep in your seat or choose one of the other options. First get to Morioka 盛岡 either by hitchhiking or by Seishun Kippu (or rather stand up early use one stamp and see how far you can get within one day). 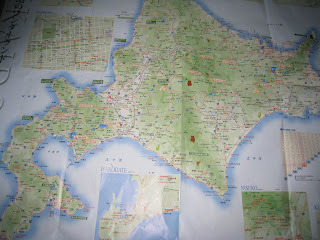 From there you should hitchhike to Hachinohe　八戸 or Aomori 青森, since the Seishun Kippu does not cover the Iwate Train line. And you'd probably even be faster that way. From Aomori 青森 / Hachinohe 八戸 decide whether you want the ferry or tunnel (and see if a place on the ferry is available). The tourist information can help you find and book the ferry. In case you want to take the tunnel get to Kanita 蟹田 by local trains, take the next fast train to Kikonai 木古内 and then again locals to Hakodate 函館. Lastly from Hakodate 函館 or Tomakomai 苫小牧 refer to hitchhiking as long as you are in Hokkaido. With a combination of Seishun 18 Kippu, hitchhiking and taking one fast train from Kanita to Aomori (because there are no local trains after 16:00 o'clock, I was able to cover the way from Sapporo to Atsugi in two days. 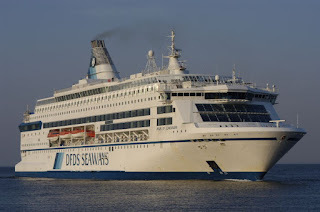 I first intended to use ferries, but they were all booked out, so try to plan ahead. Hokkaido & Higashinihon Pass is another alternative to get to Hokkaido. 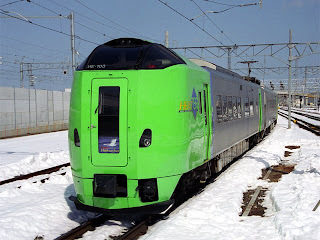 "unlike the Seishun 18 Kippu, the Hokkaido & Higashinihon Pass is also valid on the non-JR trains between Morioka and Hachinohe and the Hamanasu express night train between Aomori and Sapporo, which enables pass holders to travel much faster from Tokyo to Hokkaido than Seishun 18 Kippu holders." Thank you very much Hung Lun, for your addition to this guide! 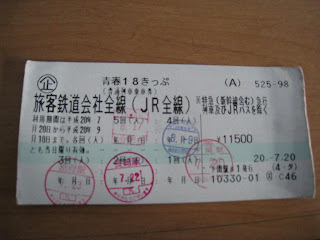 I think last year this ticket was not available, when I was looking for a cheap way to get to Hokkaido! It sounds pretty good! Did you try it? been researching cheapest way to get to hokkaido myself over the last couple weeks. im heading up there to do some woofing and its a major budget trip. was considering hitching, but my canadian blood cannot handle the heat so im going to try this hokkaido and higashinihon pass to atleast get to hakodate or sapparo then try my luck at hitching. ill post about the pass after im done my trip.